Mid April, 2018 at Salt Lake City. I just checked into my hotel and just behind the room is a pond and there are ducks out there. I am pretty sure #2 is a female Mallard but I do not see the male which is what made me doubt. 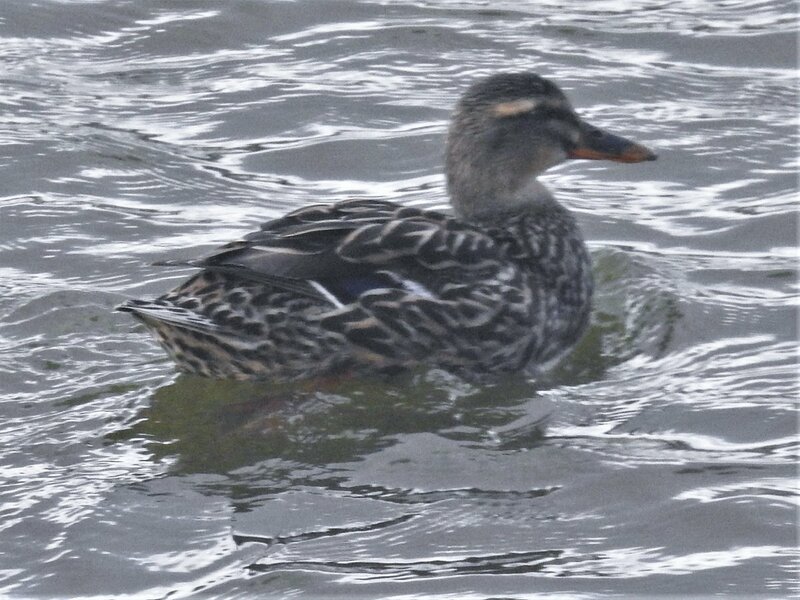 Instead it was swimming near #1 and #3 which does not look like a male Mallard. From the shape of their beaks and the colours of their feathers it doesn't look like male Mallards in their non-breeding plumage either. So.. help! Thanks. 2 is indeed a female Mallard, but probably has domestic genes. 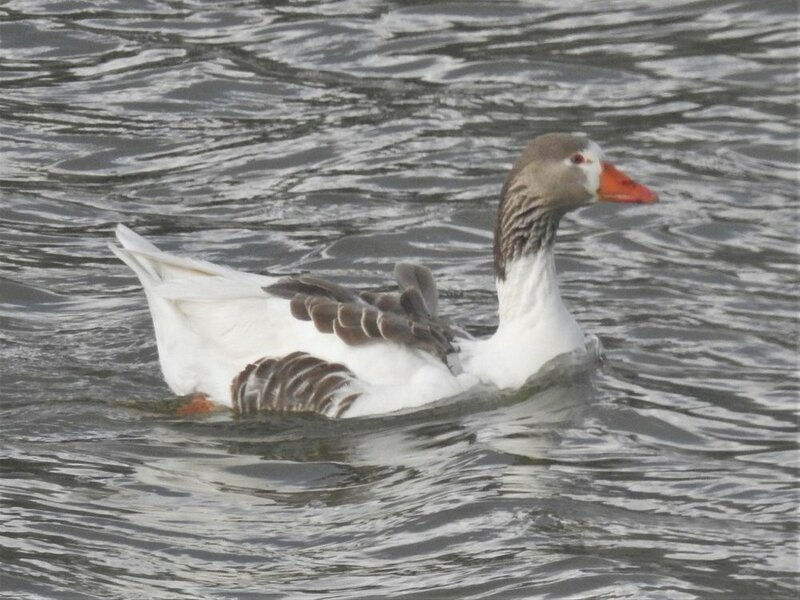 1 and 3 are domestic Graylag Geese. Thanks... 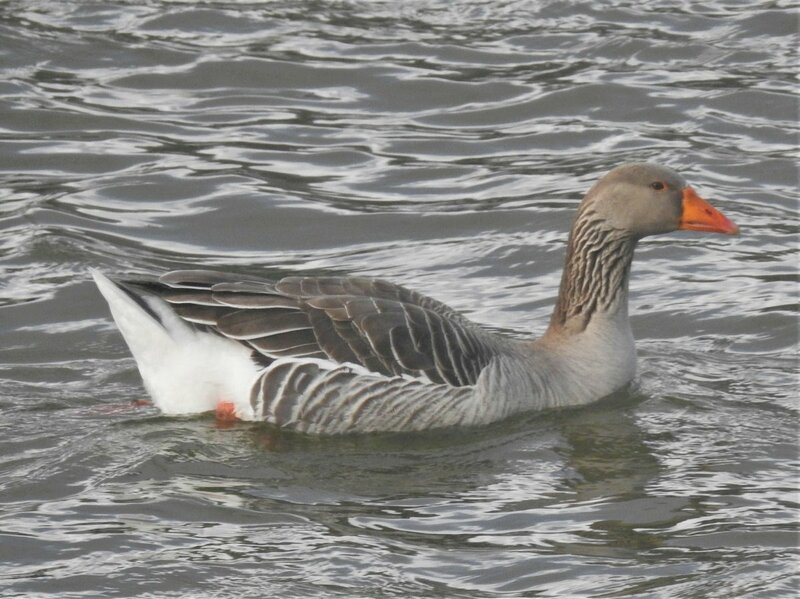 I'm gonna read up on Graylag Geese.... I love water fowls..
Yep, possibly the hotel's "pets" or just birds that escaped from farms or are descended from escaped farm birds.